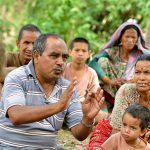 In Nepal, bureaucrats’ local knowledge and motivation make a difference in serving rural farmers. Danielle Resnick and Jordan Kyle share recent research findings on agricultural extension service provision from Nepal. 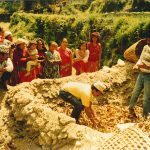 The new paper examines how subnational variation in capacity affects access to agricultural extension in rural Nepal, finding that even when resources are scarce, knowledgeable and motivated bureaucrats can deliver surprisingly high levels of services.